CocktailsWe’ve got a cocktail for every Caribbean island! You probably imagine white sandy beaches. Clear cobalt blue waters. The faint sound of palm trees in the wind, and the smells of freshly caught fish sizzling gently on a nearby barbecue. Or maybe not. Perhaps you picture something more vibrant, more colourful; a wild carnival atmosphere with the sound of steel drums, a tidal wave of local rums and dancing from dusk ’til dawn. And that’s the thing with the Caribbean. The dozens of islands scattered amongst its waters are remarkably diverse. Pulsing Jamaica has little but scenery in common with laid-back sleepy Aruba, and even islands that sit so close they’re almost touching, like St Kitts and Nevis, couldn’t be more different. So if you want a true taste of how diverse the Caribbean really is? Look no further than our cocktail menu – ‘cause with these delicious mixes, we bring you flavours from every kind of tropical paradise. The ultimate Cuban headliner; the Cuba Libre. Easy-drinking. Ever so refreshing. And an exemplary taste of Havana’s heyday. There are no prizes for guessing which Caribbean island we’re harnessing here, but this Cuban classic is a gift in itself. 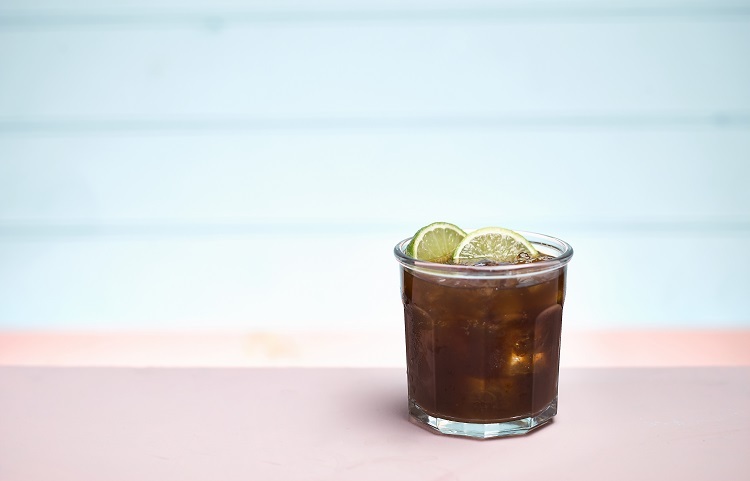 Around since the 1900s, the story goes that American soldiers in Havana persuaded a barman to mix his precious rum with lime and a tasty new soda called Coca-Cola, creating what we know today as the Cuba Libre. We mix ours with plenty of Bacardi Carta Oro rum, and while the Cuba Libre may be simple, it’s just as weirdly, wildly wonderful as you’d expect from a standout Cuban classic. It might be the French corner of the Caribbean, but it’s safe to say that the island of Martinique definitely knows a thing or two about rum. The natural home of rhum agricole, a type of rum distilled from Martinique’s locally grown sugar cane rather than molasses, the island prides itself on producing rums that are delicately crisp, uniquely flavourful and obviously, packing plenty of punch. And that sounds a lot like Trois Rivières Blanc rhum agricole, which we’ve used to create our delicious Martinique Fruit Shake. 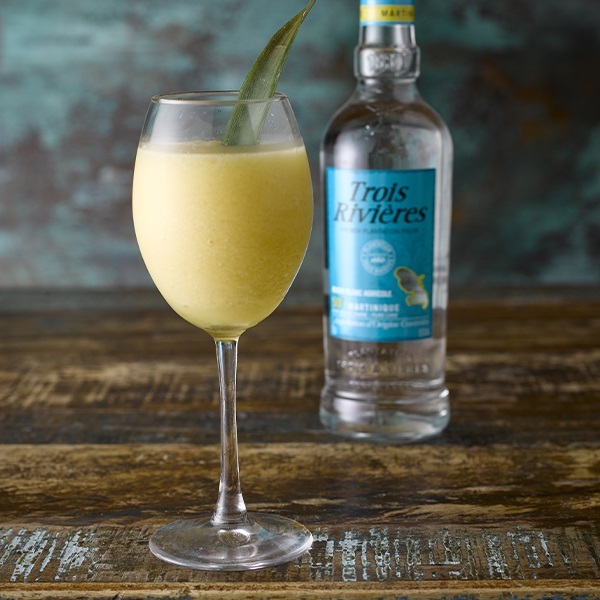 Known for its unique flavour of tangy citrus and subtle caramel, we’ve combined Trois Rivières Blanc with mango, coconut, pineapple, apricot and lime for a sweet and punchy cocktail that’ll take you straight to the isolated beaches of Martinique after just one sip. Promise. Your one-way ticket to a beach in Barbados? Our Fancy Pineapple Daiquiri. Famed for its picture-perfect beaches, tropical gardens, and the friendliest welcome in the world. But did you also know that the island is the undisputed birthplace of rum, too? The originator of sugar cane cultivation in the Caribbean ever since 1627, we just had to honour Barbados in some way on our cocktail menu. 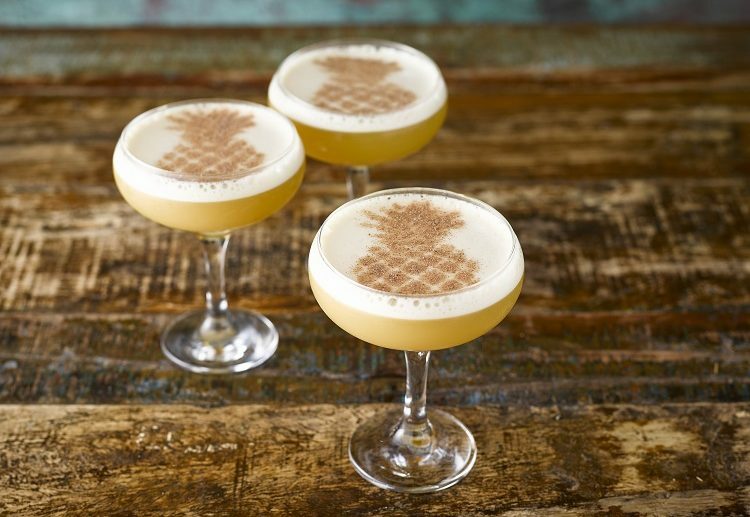 And there isn’t a better way to toast the island than with our Fancy Pineapple Daiquiri. With Barbados’ own Stiggins’ Fancy Plantation Pineapple rum as the star of the show, we’ve added lime and sugar, thrown in some extra pineapple to complement, then accentuated it all with a fine sweet cinnamon dusting, shaken on top in the shape of our favourite tropical fruit. The result? An explosion of flavour sensations. 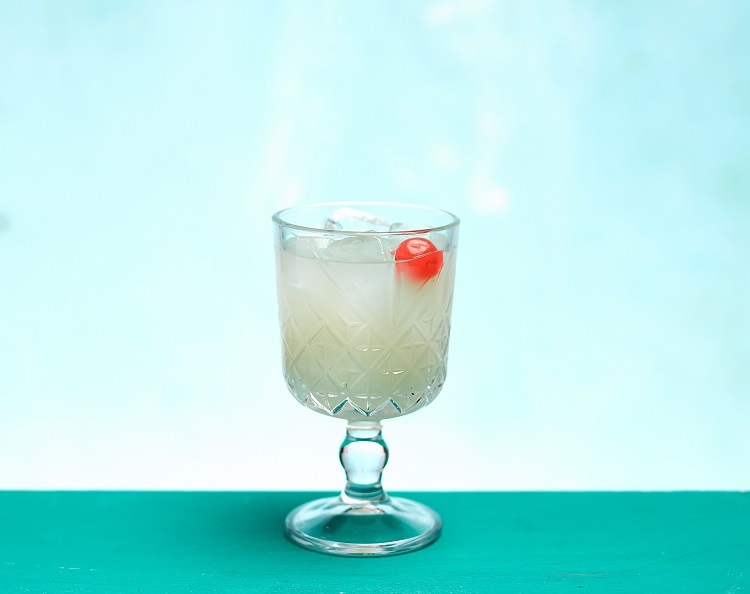 A delightful twist on Trader Vic’s recipe. Jamaica is the Caribbean island with its own soundtrack, so get ready to groove to its rhythm by exploring a rum produced in Jamaica’s beating heart. With the distinct honour of being the island’s oldest sugar estate and distillery, Appleton Estate has produced wonderfully rich, aromatic and flavourful rums for more than 265 years. And you better believe you can taste this kind of experience. A rum that features all the warmth, passion and unique spirit of Jamaica, Appleton Estate has always created cocktails worth savouring. Again and again and again. Which is why we’ve added not one, but two types of Appleton Estate to our delightful Cherry Mai Thai. With Cointreau, sweet almond, sugar, lime and a maraschino cherry, we’ve added Appleton Estate Signature Blend and Rare Blend 12 Year Old rums to make it as proudly Jamaican as the black, green and gold of the country’s flag, while also adding a little soul to the Mai Thai. Fine, a lot of soul. Now, this is just a teeny taste of the Caribbean wonders on our cocktail menu, so if you simply need to try all of ’em? Well, check out our tropical-inspired cocktail menu and choose your favourite island mix today!